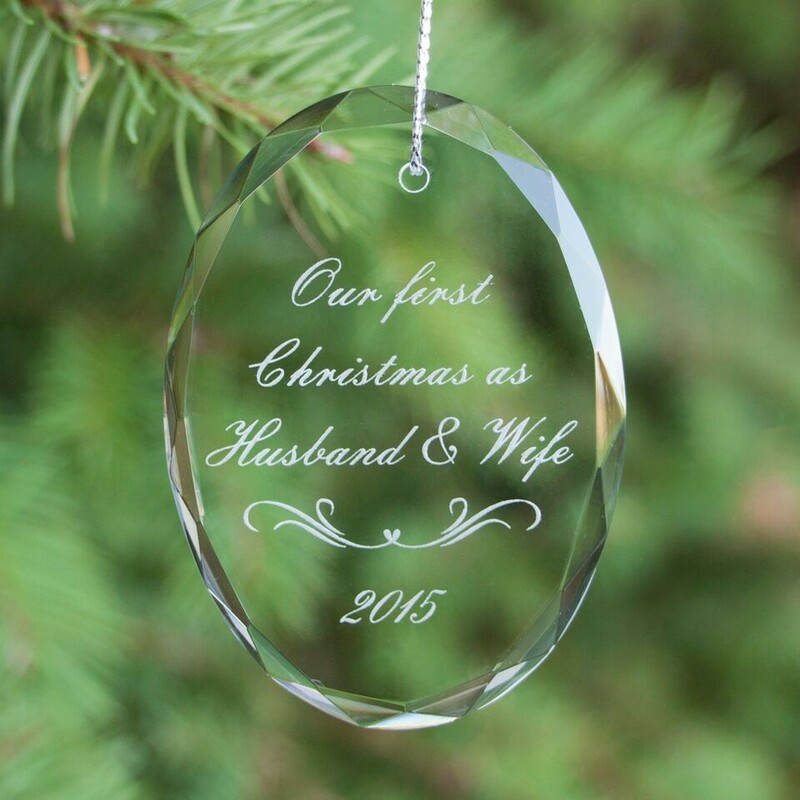 With sparkling faceted edges, theEngraved Crystal Oval Ornament will light up any tree! Beautiful clear crystal is the perfect display for your personal message, which is included in the price. Faceted edges create sparkle and shine. At 3" tall, this beautiful ornament will make an elegant statement on a special Christmas tree! 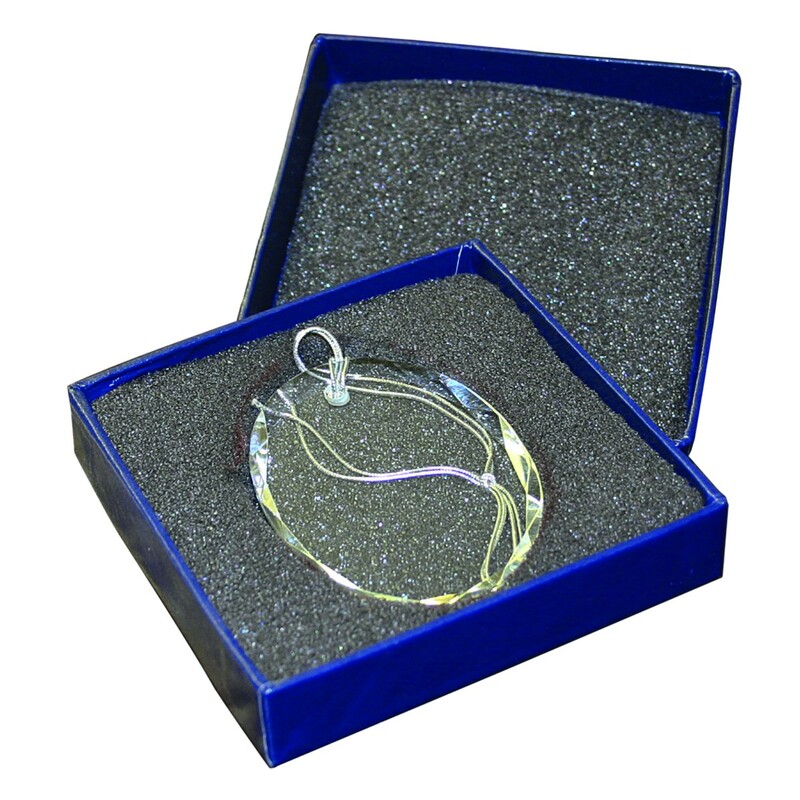 Includes box for gift giving and silver string for hanging.